JASPER ENGINES AND TRANSMISSIONS has been the industry leader since 1942. With their extensive research, they have insight to correct problems in original manufacture design, improving their products performance, reliability and durability. 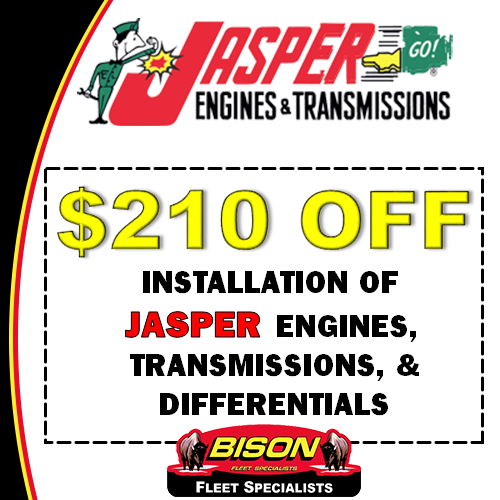 We proudly recommend JASPER Engines & Transmissions re-manufactured components. Why do we choose JASPER? PROVEN, Live run, computer assisted testing of popular complete engines assure trouble free performance and peace of mind for our automotive customers who depend on us. QUALITY, Re-manufacturing fuel components in a climate-controlled environment and computer assisted calibration assures precise fuel delivery and efficiency. TESTED, Live run dynamometer testing of every running complete diesel allows engines to be tested under varying loads to simulate in-the-vehicle operation. Live run dynamometer testing of every automatic transmission, including Allison, assure trouble free performance and reliable day to day operation. 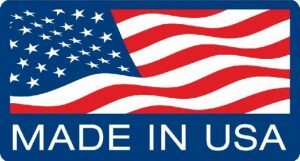 WARRANTY, JASPER Engines and Transmissions has a 36 months/100,000 miles nationwide transferable warranty – parts and labor – for most consumer and commercial applications up to, and including 1 ton chassis. Bison Fleet Specialists is the #1 certified JASPER Warranty and Installer service center in Buffalo, NY. OTHER USED TRANSMISSION components are pulled directly from a vehicle – typically a junkyard vehicle – and generally not even so much as surface cleaned. There are no provisions for disassembly, internal cleaning or inspection with a used component. Used or junkyard components may have high mileage and a poor maintenance history – a failure waiting to happen. Many used or junkyard components come from a vehicle that was involved in an accident and may have unseen damage such as being immersed in water. JASPER parts come with a promise. After all, this is the vehicle that your family or business depends on to carry out a variety of day to day activities. Your car, truck, van or SUV ranks right up there on the list of things for which you do not want to experience an early failure.